Education, Technology, and Adventure with a side of Awesomesauce. From a family of educators comes Rebekah Remkiewicz. She blends education, adventure, and technology to make science and art come alive in the classroom. Here, she offers her two-cents (and more) on education issues as she continues to expand her EdTech know-how. I was in my 20s and my nephew was in elementary school. The school offered music to students. My nephew was struggling in math. The solution that the teacher and the school came up with was to take music away from him. That has stayed with me for years. That nephew is now the same age I was at the time I watched this unfold and struggled with the idea. How would taking away music help? Here's the interesting thing: all of these things fit so nicely together. Music can re-enforce math instruction and teach fractions among other things. Physical Education can help students get their wiggles out. 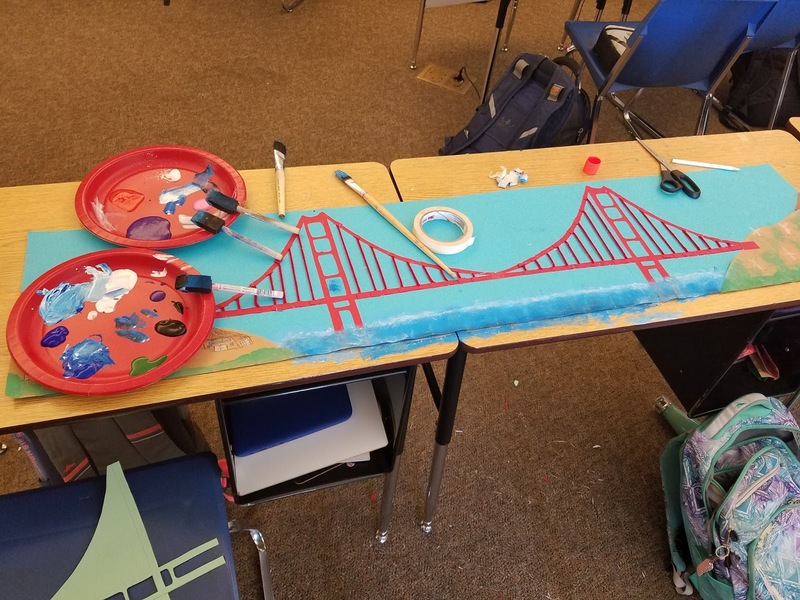 Art can easily become incorporated into language arts. Here's a piece of art, write about what you think is happening here. I can take it one step further. A painting portrays a group of people waiting to vote in an election and appears in a history book. Students can write a description of what they see happening in it. Or, they can choose a sub-group and write a "script" for what that small group is saying in that very moment. Boom. History, language arts, and art all rolled into one. We are in an era where we can easily teach across the curriculum. Why aren't we doing it more? A science lesson can tie into mathematics, language arts, history, and art. Build a bridge. You first design it. Then you write about the materials you use and why. You describe how it works. You find bridges similar to it in other points of history (example: bridges over the River Seine). Want to throw in one more area? Find paintings or photographs that incorporate similar bridges. 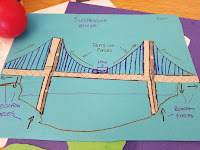 Math is automatically built in as students measure and build the bridge. What is a half-note? a quarter note? Oh! MATH! In music, no less. I learned so much art, history, and literary awesomeness during my time at the arts high school between the years 1992 and 1994 that you may well be stunned. We had our academic classes in the morning then our art specific classes in the afternoon. A great deal of learning came from my experiences over the course of those two academic years. However, a great deal of learning can also come from integrating all of these things. We need to look beyond the pacing guides. We need to look at our individual students and meet them where they are while taking them where we know can go. We can bridge students from where they are to where we want to take them. We can use various tools to get them there. If we believe in them and guide them, they can accomplish great things. This is something both we and they can never forget. Perhaps it is time to stop thinking as some of these things as EXTRAcurricular activities and to start thinking of them as supplemental activities and bridges to eduawesomeness. They've got this because we've got them. Last weekend, my ten-year-old and I hit the road with our "If You Give a Kid a Camera" presentation. There were moments of awesomeness, to be sure. Perhaps one of those includes a moment of great disappointment for Connor as a first-time presenter. We packed up after school on Friday, January 12 and hit the road, traveling south on Highway 99 to reach another part of the Great Central Valley. We started by meeting four educators for dinner at a Pho restaurant in Visalia. This gave Connor the opportunity to meet some folks I knew from previous educational encounters. The four: @edcampOSjr (the one and only, Ed Campos), @CoriOrlando1 (the fabulous Cori Orlando), @dustin772 (Dustin Ellis, who I beat out by moments to win a fun competition at CUE last year), and @DougieFreshTech (Denise Douglas, who always makes me feel welcome, and like me was enjoying Pho for the Phirst time). They welcomed Connor into the fold and seemed to put him at ease ahead of the big day to follow. Back at our hotel room, we set up our Chromebooks and sat across from each other as we made some final edits and went through what we felt would be the best presentation style for this event. Saturday morning, we woke up, saddled up, and headed out for the Tulare County Office of Education TechRodeo. We were scheduled to present during the second session which gave us a chance to settle in and gave Connor the opportunity to become more familiar with how one day education events operated. We grabbed some breakfast and coffee, networked a little bit, and then headed over to the gym for the keynote address. We stuck together for the first session and checked out Ed Campos' 360 Math ideas. We headed to our assigned room for the second session and got things set up for our presentation. Connor was anxious, excited, and ready to roll. He handed out stickers, as all good presenters seem to do (he definitely picked up on some things from my previous experiences and from the start of the day). He welcomed our one attendee. We had a couple of other people pass through and check things out throughout the hour, but I could see the disappointment in his eyes, I sensed what he felt, and I felt a great sense of pride as I watched him continue through the presentation, share his ideas, and answer questions. This kid nailed it. Later, we talked about how he was feeling. He got a great pep talk from Kyle Anderson aka @AndersonEdTech over lunch and then Connor was ready to continue through the rest of the day. I pointed out to him one very important thing. When we first started developing "If You Give a Kid a Camera," we did it in anticipation of presenting a special CUE Rockstar event designed for parents/homeschool families and independent study educators. The one person we had attend our session had recently transitioned into a role working with independent study students and expressed to me that we gave her some ideas for her role as an educator and hearing ideas from Connor gave her something to try with her grandson, as well. I was again reminded of the story of the starfish. Our presentation mattered because we positively affected an educator. Bonus: she was exactly the type of educator we had in mind when we first drew up the concept behind this. That became a huge take-away for Connor. We bounced around some during the third session and checked out a few different things, including yearbook layout ideas from students, robotics and coding, and Google Hangouts (a personal favorite tool of mine and Connor's). Then, something huge happened. For the fourth and final session of the day, I headed into a session I was excited about with Jeremiah Ruesch @mathkaveli where I could get some new ideas for my math instruction. Connor decided to go out on his own. He went to explore Google's "secret menu" with @JoeMarquez70 (Joe Marquez). This sparked something new and even more wonderful in my co-presenter. He set up a blog and started writing. He started looking even more into the future. At the end of the day, we headed downtown to meet up with a few of the educator folks with whom we had just spent a great day of learning. I had a chance to have some good debriefing time with them and noticed that Connor did the same. He continued to get new ideas and brainstorm for the future. 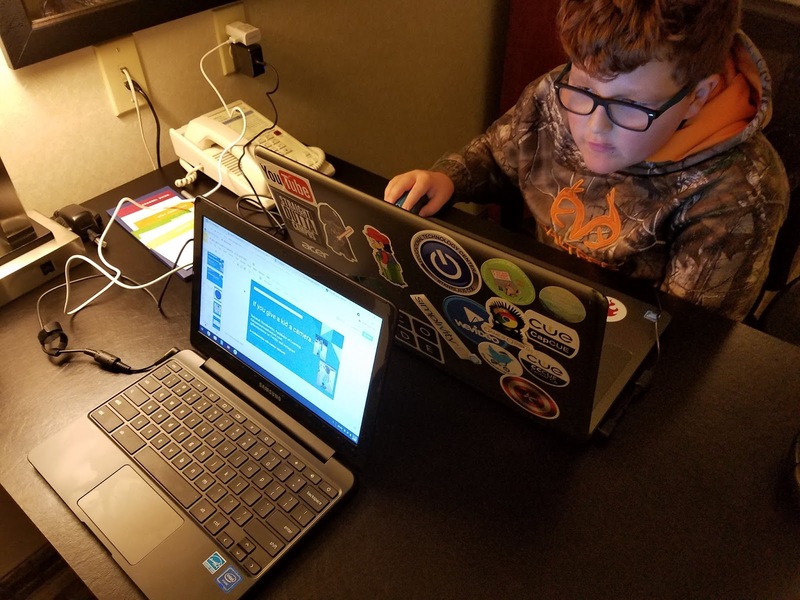 He arrived home later that night, sat down at his Chromebook, and started developing a presentation of his own for a future TechRodeo event. We expect to have a new podcast ready very soon and we are looking forward to presenting together again at ETC! at Stanislaus State on on February 24. I will also present "Technology as the Swiss-Army Knife of Education," one of my favorites to present. We make up two-thirds of the EdTechFamily and love sharing our ideas with others. About two years ago, I first shared about some of the awesomeness that is Google Classroom. There are many aspects of it that I really like, of course, but two things stand out to me above all. Additionally, it is important to note that Classroom continues to make additions and modifications that improve it. I first "met" Google Classroom at a session during the CUE Conference in 2015. At that time, you could only access Classroom if you had a school Google domain, which I did not have. So, I watched and listened and soaked in all that I could without actually digging into myself. At the subsequent West Coast Google Summit, I asked about possible plans to allow teachers who did not work at a Google domain school having access to Google Classroom. I also took back my lessons to my school and began a push for a Google Domain. 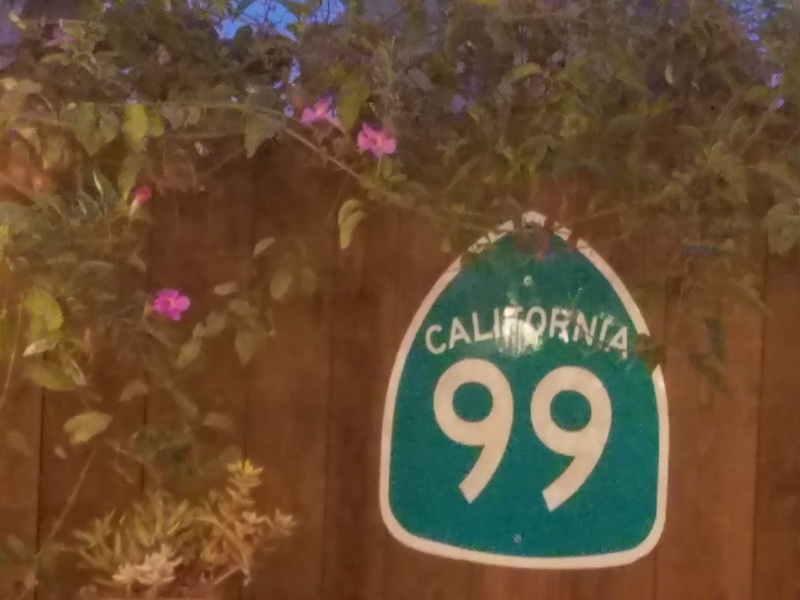 By the time I returned to the CUE National Conference the following year, my school had established its own domain and my life as an educator had changed. In fact, prior to the CUE National Conference in 2016, I had my first Google Classroom experience that changed my life as an educator. I had traveled to southern Alabama to meet with educators and to visit classrooms. While on this trip, I posted from and interacted with students from afar. One of the things I love about Google Classroom is the ability to be present from afar. February 2016. I walked along a beach in Southern Alabama en route to a Catholic School. I took a picture of tar balls washed upon the shoreline and shared them in a post on Google Classroom. With a photo, I posted a discussion question. Students responded. Flash-forward one year and I was at a new school and using Google Classroom similarly. Flash-forward to January 2018 and, again, I was posting to communicate with students while away from the classroom. The absolute best part of Google Classroom is that it does EXACTLY what I want to do and it breaks down the walls of the physical classroom. I can monitor their interactions and mute a student who is off-topic. I can redirect students, if necessary. I can interact with students and guide them and discuss with them. This, my edu-friends, is the most important part of Classroom for me. It breaks down the walls and allows me to interact with students even when I am physically absent from the classroom. My physical absence is rare, but when it happens, it is important to me to maintain a connection with my students. Google Classroom bridges that gap. Whether I am sitting in the classroom, driving down Interstate 10, sitting in a doctor's office, or attending a conference, I can facilitate and monitor class discussions and post assignments. The second thing I love about Classroom is the ability it has to integrate across the curriculum. StudySync has done this especially well. Even when it isn't specifically integrated into a curriculum, I can use it facilitate student assignments. I can essentially make, create, and share handouts through an assignment or announcement on Classroom. This does amazing things. It is is not unusual for me to ask my students, "would you like me to create something on Classroom so you have a place to submit XYZ"? Even less unusual is for them to answer, "YES!" And so, I do. I can make copies of attachments from Drive for each student and/or give them editing access to an attachment. I have done this with Google Sheets in the past, for example. Classroom has changed in the last year or so. We can now make assignments more personal, which assists in differentiated instruction and independent study. We can create assignments that push out to all students or we can select specific students for specific assignments. I used this recently when a student was out for a week in order to personalize her learning since she would miss what we were doing in the classroom. I can reach my students when and where they are. It transcends space and time (I can set up an assignment and have it post according to a schedule I set). Perhaps the title of this blog post is more than is necessary. Perhaps I do not need to make a case for Google Classroom because you are already using it. Perhaps it would be better titled: Why I love Google Classroom. But know this, it is ever changing, ever evolving, and it is making classrooms places of success and EduAwesomeness. You can accomplish great things. Whether you're a longtime user of Classroom or hesitantly starting to check it out, you will find new and great things within Classroom. 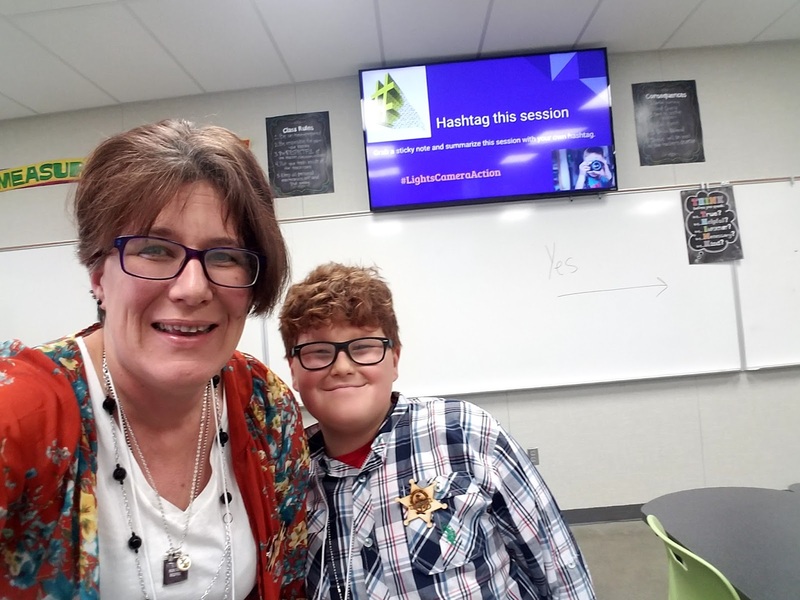 As I contemplated this blog post, what really pushed me to write it is that over the past week, I decided that Classroom is arguably my favorite (Google) teaching tool. Last month, I had diinner with my "adult school chicas." We have all gone on to do other great things and we all four are (now) back in the classroom. We had great conversation about Google Classroom and we are now discussing the possibility of having a simple, personal training session because two of us are using it more effectively than the other two. What tips would you share? What are your favorite aspects of Google Classroom? Do you want to take Google Classroom further? I suggest following Alice Keeler on Twitter @alicekeeler and check out her books including "50 Things You Can Do With Google Classroom" and others, available on Amazon. I am a firm believer that every student should find something they love about school. Our job as educators is to educate rather than entertain, but that should stand in our way of making each day the best experience we can. I know that as students grow older, they often drag themselves to school grumbling and they can find plenty of things they dislike. However, I have also seen sparks ignite in older students as learning becomes an experience. 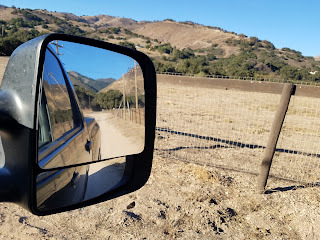 Yesterday, I left my school a little later than I had planned, but I still found time to do a couple of things on my way to the Central California CUE Board meeting. I stopped by to drop off and pick up with the person who had checked on some things for us while we were on vacation and then, I hit the nail salon for a long-overdue polish change (so long, I had picked polish off of at least five fingers). I sat there hoping things would move along quickly and expecting to make it to my meeting on time. The place was near empty when I arrived; however, it started filling up with people needing various salon services. A woman entered with her two children. One sat with his small electronic and chilled while he waited for his mom. The daughter sat near another customer, an apparent family friend or some such, to chat while she waited for her mom. The very friendly young woman talked with the girl, making various small talk. They sat behind me, so I have no visual, only what I quietly overhear and how I envisioned what I heard. At one point, the conversation turned to school. "What grade are you in," inquired the woman. "Do you like it," asked the woman. "Not really," replied the girl. My heart sank. I heard very little of what was said next because I got lost in thought. How could a five or six-year-old not like school? Even on a bad day, both of my kids have generally liked school. I teach middle school and have heard the older student grumbles, but they still seem to like school overall. How could this young girl already be so turned off from the idea of school? In the midst of pleasant conversation, I am accustomed to young students glowing in their reviews of school. As a mom who has seen my children struggle at times, I have always heard very positive responses from them with regard to school. In fact, last night, my daughter flipped through her "First Grade Memory Book" remembering good times with friends, learning, and her teacher. Ladies and gentlemen, I hope everyone reading this is doing their best. As a teacher, I have good days and bad days. I try to keep those bad days in check and do everything I can to keep it a good day for my students. We should all be doing this. Frankly, kindergarten teachers are heroes. They do things that other cannot. They take young minds at the start of the school careers and prepare them to become lifelong learners. Folks, if we lose these kids in kindergarten, it will only get increasingly more difficult as they get older. Imagine what this poor girl may feel by the time she reaches middle school and high school. We have our work cut out for us. I share a lot about making each day an EduAwesome Adventure. This is more than talk. This is more than a Facebook post or Tweet. This has become my philosophy as a teacher and as a mom. This is why I consider myself a TeacherMom. We need to strive to be engaging. We need to pull out our Educational Swiss Army knives and make magic happen in our classrooms. Will our students love every single day? Maybe not. But if we can build our resources, use tips from colleagues and edu-friends, teach across the curriculum, make things interesting, and work to reach each and every student, then perhaps we can potentially avoid our students sitting in a nail salon late one evening talking about not enjoying or liking school. We can do this. But we have to want it and we have to work for it. By the way, I did make it to that meeting and it was a great one. I kept my nail salon experience in the back of my mind as we met. Now in a role where I not only have to reach my students where they are, but reach out to fellow educators, I think about these sorts of observations more and more. I am proud to be a part of an organization that builds up teachers who in turn build up lifelong learners. I am proud to be a part of something that is working to make each and every day an EduAwesome Adventure for students, teachers, parents, and the community. I am honored to have a place in this big world that is shaping things yet to come. Happy CUE Year! Now, get out there, hook your students, and do something amazing. They will remember you for it for a long time to come and their future teachers will thank you for sending along students who are engaged and ready for learning in all its forms. At the start of each year, I pause and look back on the year behind. I do this as a parent, an educator, and as a person who always wants to do better and be better. I usually have it written sooner, but this year took a little longer to process through all of my thoughts. 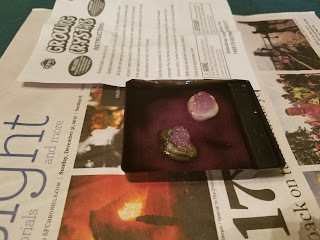 As 2017 entered its final hours, my seven-year-old daughter pulled out a crystal growing kit she had received from Santa. "Mommy, can we grow the crystals now," she asked. Perfect! Let's do it. We warmed and measured water together, then she dissolved the crystal mixture into it. Finally, after we poured the mixture into the designated "pedestal," she placed two rocks into. It was just after 9 p.m. and the instructions said that crystal growth would be seen within "a few hours." I looked at the clock, I looked at my daughter, and I said, "this year's rocks will be next year's crystals." She totally dug it. So did I. And so it goes. As I look at the year ahead while 2017 flashes in the rearview mirror of my memory banks, I see great ways to turn rocks into crystals. Let's use the year ahead to make things sparkle and shine, using what we can bring along from the year gone by. 2017 ended with a major disappointment for me, so I think I will get it out of the way first. Excited with how my presentations have gone over the past couple of years, I felt hopeful about taking something new to the annual/national CUE conference in 2018. I submitted a proposal and coming off of the "high" from Fall CUE, I received a "thanks, but no thanks" email for spring. I actually was more disappointed than I had expected. With all of the fabulous proposals submitted from so many amazing educators, of course, not all will have a place on the schedule. Once I stepped back, put it in perspective, and took a breath, I felt much better. In fact, this is one of the rocks that I see growing into crystals in 2018. Highlights from 2017 were many. I presented at the National CUE conference in Palm Springs for the first time in March. 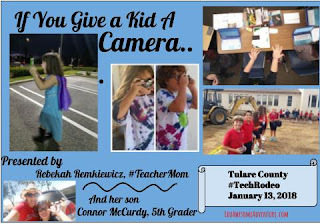 My ten-year-old and I continued to work on our "If You Give A Kid a Camera" presentation for other conferences and workshops. I presented three times last year on my own and it got great feedback. I presented at Fall CUE for the second time and while there got connected with the folks who were reigniting the Central California CUE affiliate and eventually was seated on the board, with my term starting November 30. Last January, I had a great, albeit small, edu-hike locally and did another with even more students in October. I have learned how to take data and combine it with my passion for incorporating innovative ideas into education to benefit my students while making me a better educator. My students created amazing ramps and derby cars for a gravitational raceway science adventure. My growth as an educator has helped my students grow as students. That's what this whole thing is about, right?! This is what we do in education. We learn, the teach, we guide, we explore, we grow so that our students can learn, teach, guide, explore, and grow. Always embracing myself as being perfect in my imperfections, I realize that I have a lot more growth ahead. There were more rocks than I identified here, but I thin identifying that one will suffice as an example for the purposes of this blog post. Let's start with Spring CUE 2018. At the time I received notification that I would not be presenting, I had already booked my airfare, booked my hotel, and scheduled my sub. All this really meant was that I would have take care of my registration for the conference. That is now done. Additionally, I get to go as an attendee only without the pressure of presenting. I like that. Best of all, this will be my first time attending as an affiliate board member which means there will be other work to do. We will need to host our affiliate meetup and reach out to our affiliate members. This is especially important this year as Central California CUE has not had a Spring CUE meetup in years. We have work to do. I look forward to being a part of that work and to networking with others. One last thing, I reached out to some former colleagues and encouraged them to join CUE and consider attending Spring CUE. At least one is planning to attend, which potentially gives me a roommate for the first time in my years attending. Taking that rock and growing it into amazing crystals! My ten-year-old will present with me for the first time ever. We kick off our co-presenting of "If You Give a Kid a Camera" at the Tulare County Office of Education TechRodeo in just a little over a week. On January 13 we will spend the day together in Visalia, surrounded by awesome educators. Interested in attending? Get info HERE. 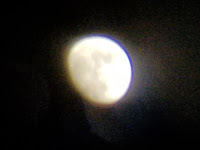 This upcoming experience has also prompted us to get back to our podcasting. We have a couple of ideas and will use this week to record at least one and outline a couple of our other EdTechFamily ideas as the Voice of EduAwesomeAdventure. Stay tuned for more on that. At the end of February, we will again present together at ETC! 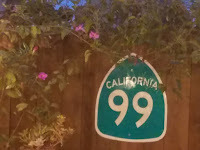 in Stanislaus County. That same day, I will bring back my "Technology as the Swiss-Army Knife of Education" presentation, as well. Want more info on this great educational technology conference? Get info HERE. I expect that 2018 will be a year of more writing and more podcasting and more connecting. I expect 2018 will be a year of growing more as an educator and passing that growth onto my students. I expect to see many crystals grow in 2018. This post is less of a look back and more of a look ahead. In the words of Brad Paisley, "If you make the mistake of looking back too much, you aren't focused enough on the road in front of you." Just as when driving, though, we need to glance back and check our mirrors every now and then. I start 2018 with a new Chromebook and a lens set to use with the camera on my phone. That means, I need to: write, connect, reach out, record, photograph, and I need to keep on this awesome path with my kids (including my children and my students). This year, we will grow the EduAwesome Adventure. Won't you come along with us? What crystals will you grow in 2018? How will you grow them?